Make ellu podi as said here. In a kadai, heat ghee add mustard seeds and allow it to splutter. Then add curry leaves. Add this to the cooked rice. Add salt, Ellu podi and mix well. Ellorai is ready. 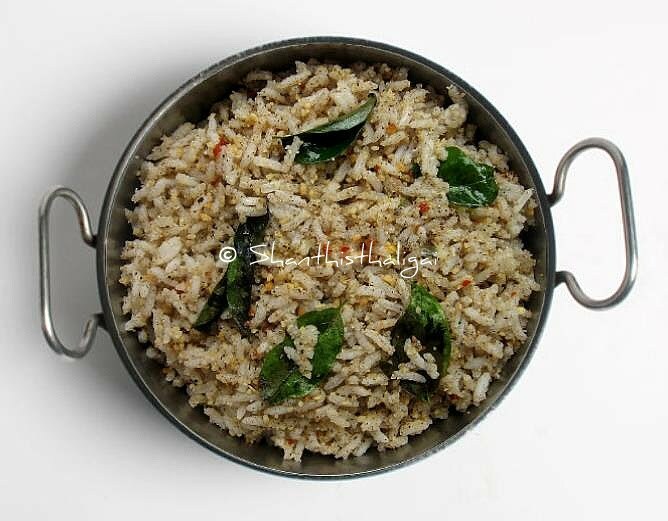 This rice is made during purattasi (tamil month) saturdays and on maavilakku day.